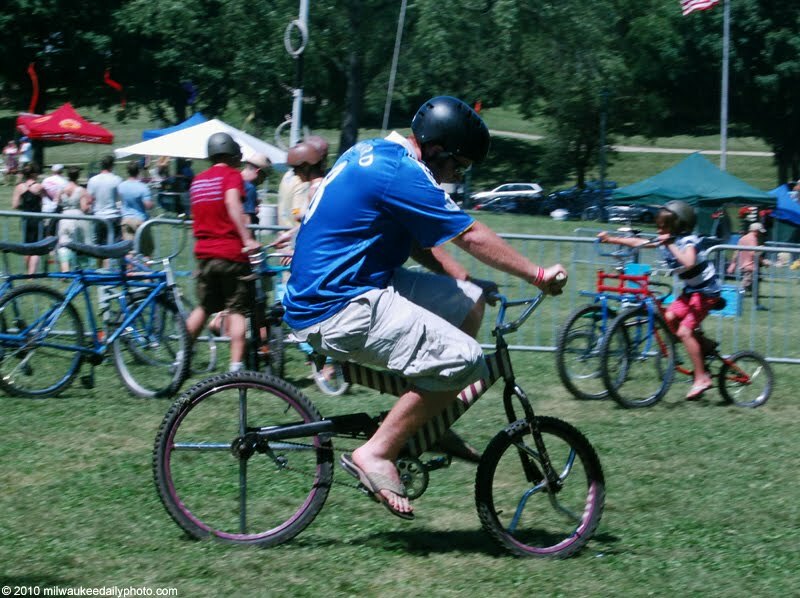 One of the diversions at the Tour de Fat last weekend was a large fenced-off area with a variety of strange bikes. This one had the wheels mounted off-center so that the frame would move up and down as it traveled along. It looked a little difficult to get started, but once it was going, it was quite a ride.